Yesterday, I got a ride with a young couple from Israel. He was from Hebron and she was from Bethlehem. They gave me a ride for ten miles and then dropped me off in Last Chance, Idaho, the next town north of Ashton. They said that they were Orthodox Jews and that they needed to stop travelling for the day and prepare supper before Shabbat (the Sabbath). It was late Friday afternoon and the Jewish Sabbath begins on Friday evening and lasts till Saturday evening. He said something very interesting. He told me that a rabbi (probably in Israel) warned that Japan was going to suffer a nuclear catastrophe. The rabbi said this before the earthquake in Japan in March of this year. The day before the earthquake, the government of Japan signed some sort of deal with the Palestinians. When you oppose Israel, bad things happen to you. 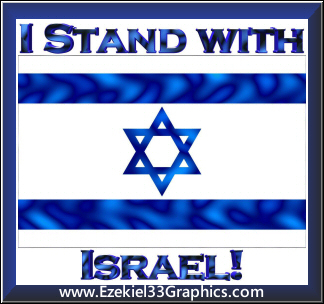 He who blesses Israel shall be blessed, he who curses Israel shall be cursed. I know very little Hebrew, but I believe that that Israeli couple were speaking Hebrew with each other. When he dropped me off at the gas station in Last Chance, he asked me if I knew the Hebrew word bereshith. I was a bit surprised because I DID know what bereshith means. Bereshith means “in the beginning” or “beginnings”. What are the odds of an Orthodox Jew asking me what a Hebrew word means when it is one of the few Hebrew words that I know? A Providential ride. He also said that he noticed while travelling in the United States that Americans for the most part are polite, but lack in hospitality. Whereas in Israel, the people are not very polite, but are very hospitable. He said that there are a higher percentage of hitchhikers in Israel than in the United States. That’s probably true. If people turn their backs on God, they become more selfish and rude. 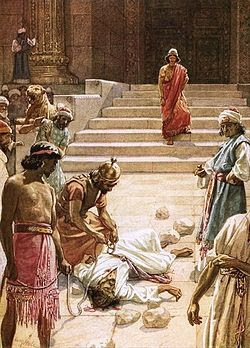 was there more said on “Bereshith”? Did you ever thought there also could now be an other Bereshith than the Beginning of beginnings? We have seen the Old World with its beginnings (Notated in the Bereshith) and we have seen the beginning of the New World (notated in the Kethubim Bet). The Old and New Testament point out to a change of the world and a major battle to come, the third and last World War or Armageddon. How many persons are willing to stand still and notice what happened a few years ago in Iraq and Afghanistan as a turning point. In the land of Euphrates and Tigris would be the beginning of the End of Times. Signs of it would be given to the people with earthquakes, children turning against their parents, religion turning against each other, and so on. Who is willing to notice the signs of an other beginning? Who is willing to prepare himself or herself for the Days to come, the Age spoken of in Scriptures? That those who love God and who follow the master teacher, rabbi Jeshua (Jesus Christ) may be awake and not as the sleeping virgins. That we notice an other Bereshith. The Bereshith of Better Tidings, though having to face lots of troubles and horrible times at first?! that we put on the armour of Christ and be ready for the big battle. Yes, I have already seen this video. I posted it on my High Plains Drifter blog in November of 2017. It is an excellent teaching.